On October 19, 2014 the Denver Broncos future Hall Of Fame QB Peyton Manning broke Brett Favre’s previous NFL All-Time Career Touchdown record in Denver, CO. Favre’s previous record had been 508 TD’s. Manning came into the game against the San Francisco 49ers with 506 career TD’s. Peyton Manning began the game with an early score in the 1st quarter when he completed a 3-yard pass to Emmanuel Sanders. He then tied Brett Favre’s record with a 39-yard TD pass to Wes Welker late in the 1st quarter of the game. Manning’s third TD of the game came right before half time, a 8-yard pass to Demaryius Thomas. With that touchdown Manning had passed Favre with TD 509. 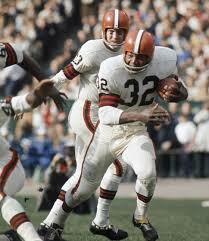 He would throw one more TD pass to Thomas for good measure in the third quarter. When Manning was taken out of the game in the third quarter he had 510 career touchdowns. Manning broke Favre’s record in 57 fewer games played. Peyton Manning celebrates his record breaking game. Peyton Manning’s feat is an incredible show of strength and determination. In 2011 Manning had season ending neck surgery. Many people believed he would never be the same if he was even able to return. 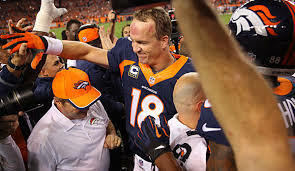 Manning would return in 2012 with the Denver Broncos and has proven he is one of the best quarterbacks of his era. The 38 year old Manning is in fine form and does not appear to be slowing down any time soon. Every week we take the time to share with you our top 3 stories from the College Football world. This week was however a special one, with an incredible game. More so there was an incredible performance by one of footballs greatest rising stars. Due to this great performance, I feel that it overshadowed every thing else that took place this weekend in College Football. 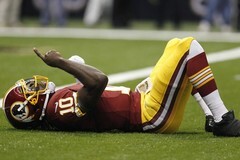 So 2centsworthofsports.com brings you the top story of the weekend, hope you enjoy it. On Saturday #5 West Virginia hosted #25 Baylor, it would end up being the most entertaining game of the weekend. Both teams combined for 133 points, West Virginia won the game 70-63. Defense was almost all but gone from the stadium. Both teams had players with video game level stats. The most notable was WV QB Geno Smith. Smith 45 for 51 passing with 656 yards passing, 31 yards rushing, threw for 8 touchdowns and had no interceptions. Smith set the school record for passing yards and touchdowns in a single game. 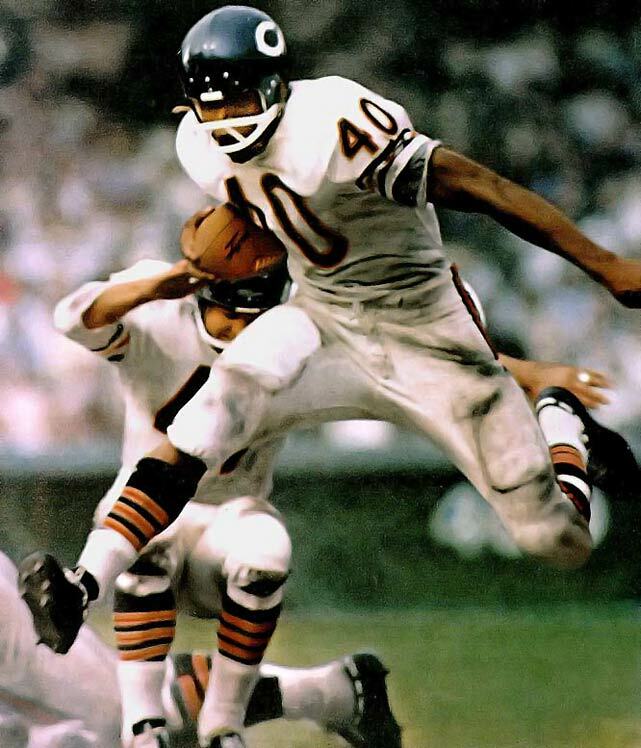 Smith was already a contender for the Heisman Trophy but cemented his position even further on this day. The West Virginia Mountaineers are ready to compete for the National Championship this year. They are so good that the only team that could stop them would be themselves. 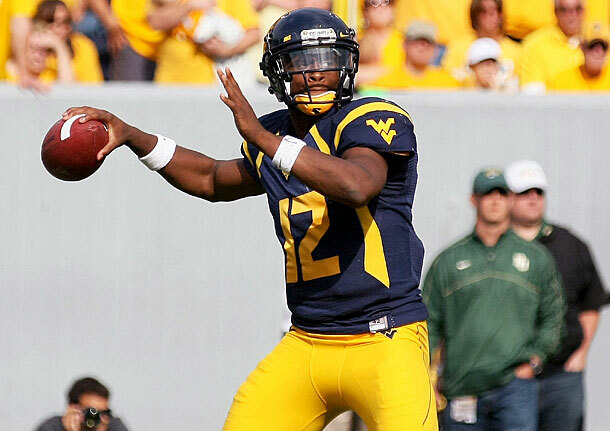 Keep an eye out for Geno Smith and WVU this season.